in Media Planning & Buying, Search Marketing with tags Bing Product Ads, google shopping, PLAs, Product Listing Ads Both comments and trackbacks are closed. This post is Part II of a five-part series on ways retailers can use digital to make the most out of their holiday efforts, and effectively prepare for the year ahead. The second post of our series explores how advertisers can maximize their efforts by including Product Listing Ads (PLAs) in their holiday marketing strategies. If a picture is worth a thousand words, what is a search ad picture worth? More than you may think. By now, you are likely familiar with Product Listing Ads – the image-based ads consisting of Google Shopping and Bing Product Ads – but you may not be aware of their swelling popularity. Top retailers are aggressively shifting budget away from traditional text ads in favor of product ads, and this transition is altering the paid search landscape. Add in continuously lower Cost-Per-Click’s (CPCs), improved engine features and explosive Q4 interest, and PLAs are shaping up to be the holiday hit of 2014. At 360i, we have seen steady growth across our PLA portfolio, especially in recent months. Since transitioning clients to the new Google Shopping format, all have increased spend and seen a corresponding revenue increase – and some advertisers have doubled or tripled their efficiency of invested budgets. New Shopping features like campaign prioritization, advanced reporting and competitive benchmark, have certainly enhanced PLA management, but only in part. 360i pairs these new features with carefully crafted best practices. Clean up your data feeds – This is sometimes easier said than done, depending on scale and resources, but absolutely mandatory. Data quality is king in the land of PLAs, and feed optimization is the solution. Shoppers may be influenced by images and prices, but Google and Bing are focused on data feed attributes. Filling in as much product information as possible is a good start, but not all attributes are created equal. To score major quality score points and win in search, advertisers should concentrate on three key attributes: unique product identifier, product category and title. Nail these down to clean up your data feeds, and you will find your PLAs showing often and effectively. Layer in semantics – Are you selling notebook computers or laptops? Is that shirt razzle dazzle rose or pink? Merchants have a penchant for attaching unorthodox descriptors to product names to help them stand out. Unfortunately, Google and Bing struggle with interpreting irregular naming conventions, and will simply refrain from serving certain product ads. Updating your feed with attribute normalization – i.e. 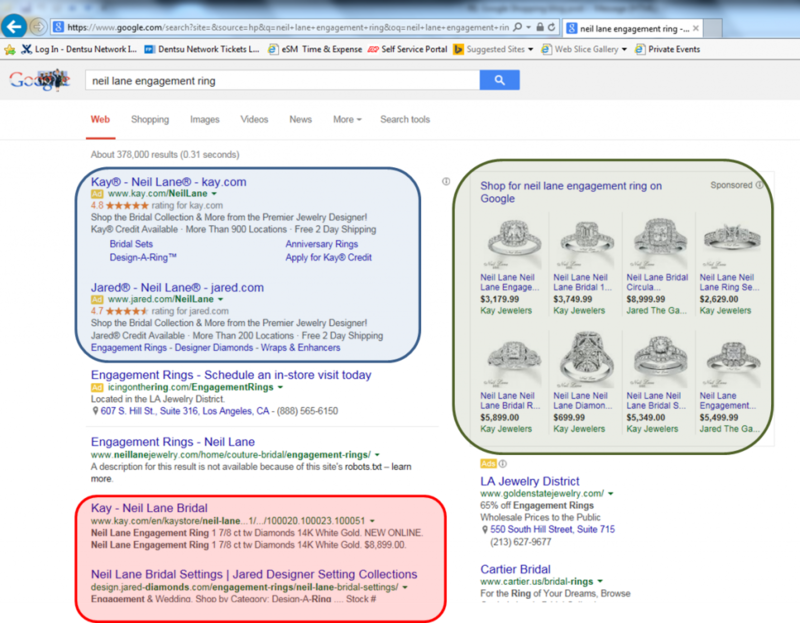 matching inputs with common search queries – will boost your relevancy and impression volume immediately. Update feeds regularly – The holidays drive huge demand, and with that comes sudden changesof inventory and pricing. Retail sites consistently update as products go in and out of stock, and prices change with availability. If your data feed does not keep up with these landing page details in a reasonable and timely fashion, Google and Bing will disapprove the feed and stop serving PLAs. We advise refreshing your feeds at least once daily – and intraday updates are even better. Leverage your data – If you are capturing onsite data with an attribution platform, don’t let that information go to waste. Put your data to work for PLAs in two ways: (1) highlight bestselling products across all channels – not just in search – and break them out into their own ‘high priority’ campaigns with dedicated budget; and (2) identify products with low volume or poor ROI and exclude them from your PLA rotation. This data-powered approach will ensure you put your best product forward for interested shoppers. Use merchant promotions – Besides image and price, you can bet shoppers will be looking for deals. Stand out from your competitors by leveraging Google’s merchant promotions and receiving a “special offer” tag under your PLA. It may be challenging to trigger this feature as it requires a supplemental feed and passing muster against rigid policies, but the result will undoubtedly drive click-through and engagement. Monitor performance as the season progresses – Last but not least, keep a close eye on daily performance. Pay attention to which products perform best earlier versus later in the season, which groups drive the best average order value and which products are on sale – and invest where demand and conversions are growing. And don’t forget to flight budgets for the best shopping days! As you plan for the holiday season, continue to be mindful of how you allocate budgets between marketing channels. Although PLAs are gaining momentum, they are still less popular than traditional text ads. Your media-mix should treat text ads and PLAs as the one-two combination punch for Search Engine Results Page (SERP) success. According to Google, shoppers are 90 percent more likely to visit a retailer’s site, and 83 percent more likely to buy, when they see both a text ad and PLA in a search result. The most effective strategy is to maintain fluid budgets and allow performance to dictate investments. Advertisers with multi-channel data can unlock a trove of insights on how their ads work together at macro and categorical levels. For example, do your PLAs perform better or worse when you also appear in organic results? Do text ads for ‘women’s boots’ convert more when PLAs also show? Do mobile PLAs receive more engagement than mobile text ads? Housing multiple data sources under one roof can answer these questions and more – advertisers just need to apply this information to vault them to the next level of search. Josh Ragusa, media manager, contributed to this post.